Germany’s international broadcaster, Deutsche Welle (DW), is part of a new breed of broadcasters hungry to bring their original programming to living-room audiences across all possible engagement channels, from live broadcast to OTT. In selecting Opera TV Snap for broadcasters, DW will leverage the latest version to enable users to access multilingual DW live programming and on-demand content, all from the comfort of their sofas. 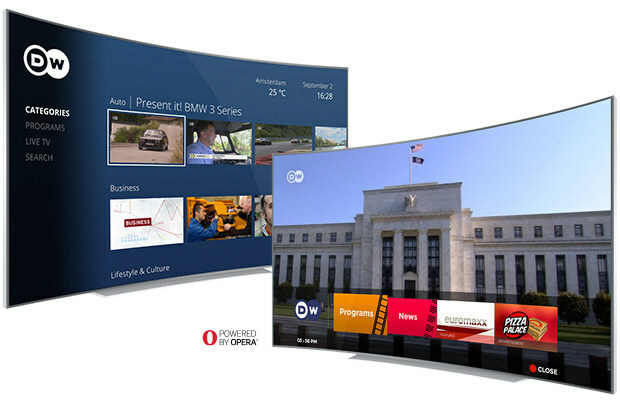 Viewers can access these services through the Opera TV Store app platform, available on tens of millions of devices from over 15 global manufacturers.